Rosanna leaves Chicago for NYC so she can put her past behind her and reinvent herself. The only thing standing in her way is the grand total of seventy-three cents she has saved. Then she meets a guy who wants to show her the glamorous side of New York—a side that she would never get to experience on her own. 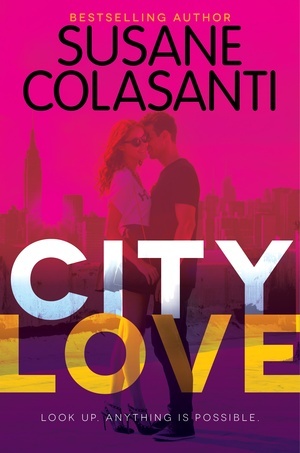 If Rosanna doesn’t resist, she may find herself in city love. Told from alternating points of view, City Love captures the moments in each girl’s life when everything is thrilling, amazing, and terrifying all at once…in a way it will never be again. I thought I would like City Love based on its premise and cover. I mean, the cover is gorgeous! However, this book was not what I was expecting at all. The book was hard to read because, for one, there is a whole lot more telling than showing. This made it especially hard to connect with the characters. The characters also seemed a little too immature and naive to be going into college. Another reason, I didn’t really like the book is because the conflict felt forced, and even unnecessary, at times. Most of the conflict didn’t even kick in until the last few chapters. The characters seemed to just wander about aimlessly for awhile. There is definitely instant love in this book. Instant love for their boyfriends. Instant love for each other. Instant love for the city. The only one I can see actually being plausible for all three girls would be the love for the city. Other than that, it’s kind of hard to believe that the girls would instantly click with each other as well as find boys within the first two days. One aspect I did like about the book was the descriptions of the city. The author obviously loves NYC and that love is seen throughout the book. I’ve visited the city once several years back, and I would definitely want to visit again after reading this book. Some of the restaurants and parks sound like they would be very cool places to hang out. Overall, I did not enjoy the book. I think some younger teens might enjoy this book better, which is weird to say since the characters are in college.